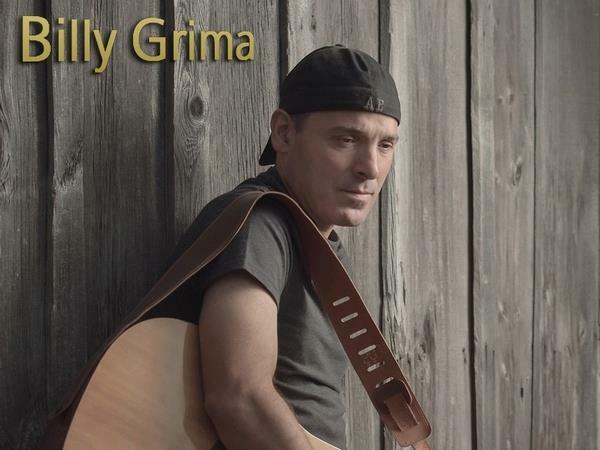 Join us this week as we welcome country/pop/rock music singer songwriter, Billy Grima. Born in Blacktown, NSW Australia, Billy started writing at a very young age and was singing in a church choir by the age of 8 years old. At 15, Billy moved to Canada and settled in Toronto. Like classic singer/songwriters, Billy Joel, Jim Croce, James Taylor and Bob Dylan, life’s daily realities and everyday events are a source of Billy’s inspiration. His smooth and soulful sound has earned him comparisons to contemporaries Jason Mraz, Ed Sheeran, Jack Johnson and even Bruno Mars. Billy has 3 albums to his credit: I’m Just Standing, A Little Piece Of Heaven and his latest, titled Sugar & Cream, produced and engineered by Pete Swann (Glass Tiger’s Alan Connely, Adrian and Justin Lifeson, sons of Rush’s Alex Lifeson.) Sugar & Cream features a tasty blend of pop, rock, soul and Americana, including the first single, “Pleasure To Have Met You.” The album is going for worldwide radio adds this spring. We will talk to Billy about his upcoming schedule, get a behind the scenes look at his music, feature his latest songs, and ask him to share his message for the troops. Please be sure to visit Billy Grima at http://www.billygrima.com/ and spread the word. Fans are welcome to call in and speak live with Billy during the show (718) 766-4193. If you would like to participate in the live chat during the show, you must sign up on the show site first and then log in during the show. As always we will give shout outs to our deployed military listeners. Be sure to join us, Sunday 1/24/2016 at 4 PM EST! Our message to the troops: WE do what we do, because YOU do what you do.